It's been an exciting week here at YouToken as our project continues to evolve and our community continues to grow. It seems like most of you are family by now but it's easy to forget that new people join us every day. As a result, we are getting lots of comments and questions about YouToken and how we "tokenize" people. It's an interesting idea in theory but is it actually possible? Yes. The answer lies within the ERC20 token. Whether you're a crypto pro or someone just starting out, you've probably heard the term "tokenization" floating around quite a bit. YouToken is guilty of using "tokenization" to describe our own mission but it is not just some buzz word thrown around for marketing purposes. There is a substantial explanation behind "tokenization" and it all starts with the ERC20. Keep in mind, these are just a few possibilites. The applications for these are virtually endless. Within the YouToken platform, each creator gets their very own YTN_Creatorname tokens ("tokenization") which are ERC20 standard compatible. Now, let's look at ERC20 from the tech point of view. To qualify as an ERC20 token, certain functions and events are described/implemented in an Ethereum token contract. Check out the following interface contract. This declares these required functions and events to meet the ERC20 standard. For more information on the inner workings of the ERC20 contract, give this page a read. WHY DOES YOUTOKEN USE ETHEREUM TO "TOKENIZE" PEOPLE? 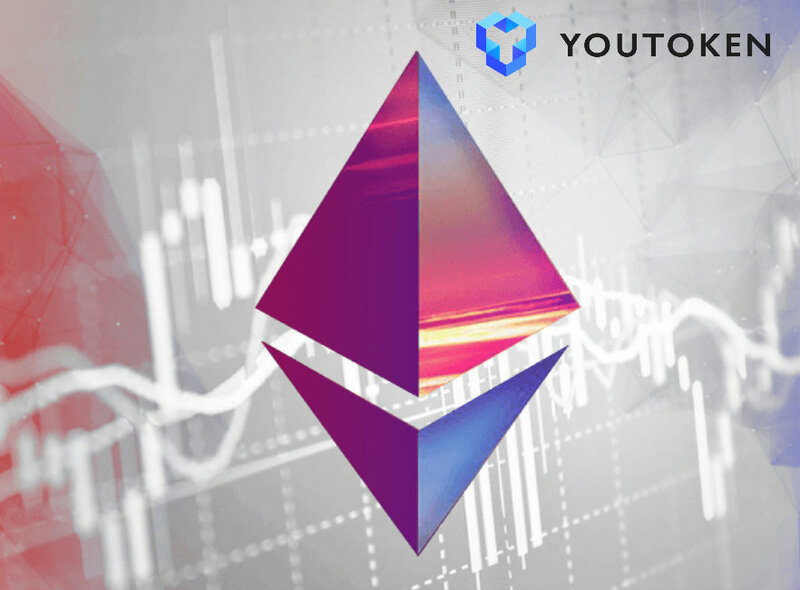 Another popular question we receive is why YouToken chose the Ethereum platform in which to develop on. Well, there are several answers to that. Sure, in an ideal world, having our own blockchain sounds nice. However, YouToken is a startup. Building, maintaining and developing our own blockchain is no easy task and requires some significant resources. Hence, we save time, money and effort by simply syncing our system to Ethereum's Blockchain and letting them take care of everything for us. On top of that, the process of creating an ERC20 token is quick and easy if you know how to program the token to do exactly what you want. Fortunately, we have a talented team of developers on hand that knows how to do just that. Another valuable insight to keep in mind is that Ethereum's dev team is always active and always working on new technologies that continue to improve the security, stability, functionality, and scalability of the Ethereum Blockchain. Are there a few disadvantages? Of course. But now, the Ethereum blockchain is what will help us deliver the best possible outcome for us and more importantly, for our users. Hopefully this article helped to clear up a few mysteries for you out there. As always, our dedicated community admins are waiting patiently to discuss the inner workings of YouToken with you. Come say "hi" on Telegram or shoot us an email at support@youtoken.io. Also, keep an eye on all social media channels in the coming days for more exciting annoucments.